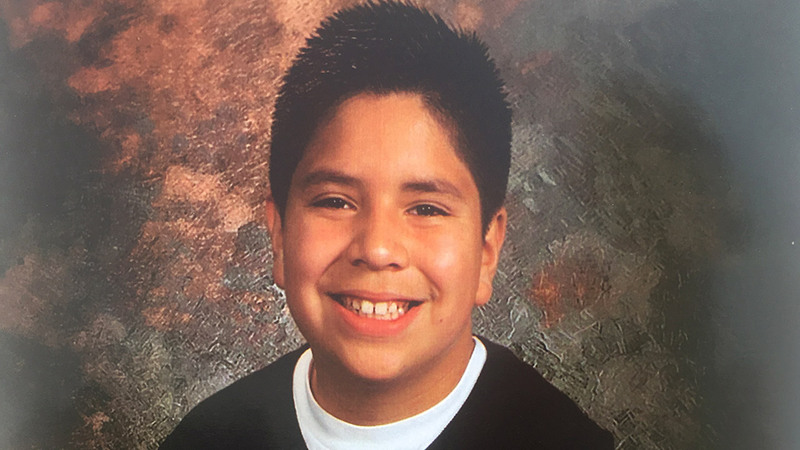 Dominick Gallegos, 12, died after collapsing on a soccer field at Ulysses S. Grant Elementary School in Colton on Tuesday, April 12, 2016. COLTON, Calif. (KABC) -- An autopsy performed on the body of a 12-year-old Colton boy revealed that he died of an enlarged heart and congestive cardiac failure. The coroner stated in a report that there was no evidence of trauma on the body of Dominick Gallegos. Gallegos was playing soccer at Ulysses S. Grant Elementary School in Colton when he suddenly collapsed on the field Tuesday afternoon. The sixth-grader was taken to Arrowhead Regional Medical Center, where he was pronounced dead. The family of the boy said Gallegos didn't collapse, but slipped and fell. They claimed another student then stomped on his chest, causing his death.